While a friendly between Mamelodi Sundowns and Barcelona should be a brilliant spectacle, the Premier Soccer League have shown mind-boggling double-standards in letting it go ahead. The PSL put out a statement yesterday, saying they have given permission for Sundowns to play the La Liga champions at the FNB Stadium on May 16. After Sundowns announced this on Friday, it was pointed out the PSL had ruled against Ajax Cape Town playing a friendly against Liverpool in May 2013. “We do not allow international club friendlies while the season is on, because it competes with our events and our sponsors. The PSL operates under a set of rules and the clubs are aware of it,” PSL general manager Derek Blanckensee told City Press at the time. The Sundowns-Barcelona game is scheduled within the 2017/18 Premier Soccer League season, just three days before the Nedbank Cup final in Cape Town between Maritzburg United and Free State Stars. 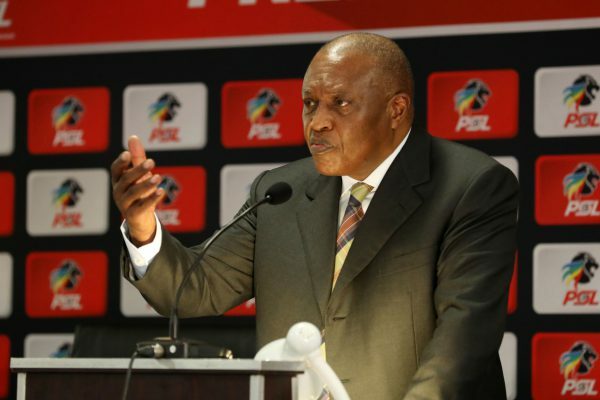 But the PSL have allowed Sundowns to play, citing the “extraordinary nature in that it formed part of the Madiba Centenary Celebrations”, and adding that it also had the approval of Nedbank and the South African government “in light of the nature and importance of the event and the part football plays in bringing South Africans together”. Now, Nelson Mandela’s Centenary celebrations deserve all the respect they can get, and a Sundowns-Barcelona game between the champions of South Africa and Spain certainly provides a fitting tribute. Yet there is still something about all this that doesn’t feel right. First, the match appears to have been arranged with a particular haste, so much so that Sundowns are now having to try and move a Caf Champions League game they are supposed to play in Guinea the day before they play Barcelona. This has always been Mandela’s Centenary Year, so surely arranging a match in Madiba’s honour could have been done with better planning? Interestingly, South African Football president Danny Jordaan appeared with Mamelodi Sundowns president Patrice Motsepe at the El Clasico between Barcelona and Real Madrid at the Nou Camp on Sunday. With Jordaan campaigning for another spell as Safa president, and elections set for May 26, how much has the Safa president’s influence been used to get Barcelona to come to South Africa? No doubt having Lionel Messi and company in town is good for Safa’s image, which could do with plenty of help right now. Safa and La Liga have been forging a closer partnership for some time, with the latter even opening offices in Johannesburg. La Liga president Javier Tebas even spoke of an event in South Africa involving La Liga, to celebrate Mandela’s Centenary. But again, I cannot quite believe this was that event, an event so seemingly hastily planned. Finally, Nedbank may well have approved this match, but there is not a chance, in my mind, that they would have done so if Kaizer Chiefs and Orlando Pirates were contesting the Nedbank Cup final. As glamorous as a Sundowns-Barcelona match is, isn’t taking the limelight away from Maritzburg United and Free State Stars in a cup final week a little unfair? And isn’t that the point of why the PSL is usually against this kind of fixture?